The year 2016 brought viewers The Witch, Don't Breathe and Eyes Of My Mother. 2017, unfortunately, has Rings to offer. The three from 2016 scare the bejesus out of almost anyone who dares watch them. F Javier Gutiérrez directed Rings though is devoid of any scares. It's a no-brainer that horror movies will bring in the fans. It's also the best investment for any producer. Horror movies are known to make back their money and then some. 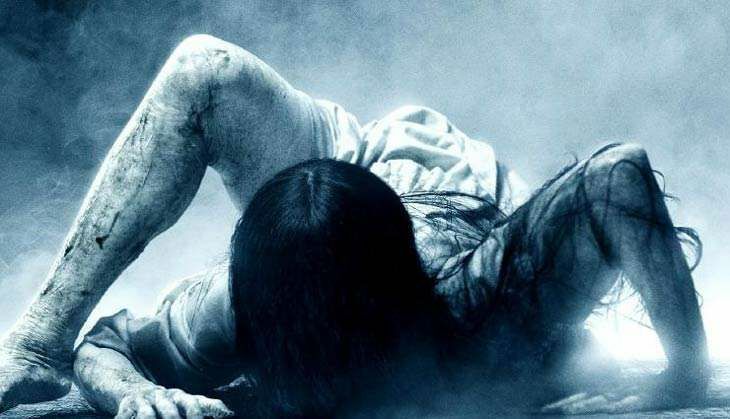 Rings though is a sequel to a sequel that shouldn't have been made. J-horror movie Ringu burst onto the screen in 1998. Gore Verbinski made a nuanced remake of it - starring Naomi Watts - in 2002. That should have been the end of it. It wasn't. The Ring Two followed it up in 2005. Twelve years later we get Rings. Progressively getting worse. While the original movie was about an evil spirit cultivating herself through a 'creepy' short film on a VHS tape. The viewer, after watching it, gets a phone call informing them of their death in seven days. One would have thought that in 2017, along with the advancement of technology, that Rings would have gone worldwide via the digital format. It doesn't. The ghost child is still as grainy as ever. The lighting of the movie is reminiscent of black-and-white films but fails to it justice. It may take seven days for the watcher of the video tape to be killed, but just 107 minutes for the viewer to die. The film starts on an airplane in a scene that the viewer finds out is completely irrelevant to the plot. It's slightly tense, but the one thing it does is set the tone for the movie. A seemingly cute guy tells the story of how he saw the video. He goes to the bathroom and realises he's about to die. Voila, the plane crashes and that's that. What happens next, is crucial to the plot but very bland and very unlike horror characters. It's the introduction of the two teenage sweethearts, the protagonists of the movie - Julia (Matilda Anna Ingrid Lutz) and Holt (Alex Roe). The two of them dish out one cheesy dialogue after the other and many an issue in their relationship that is never addressed. One night after a Skype call and many missed calls later, Julia realises something is up with her boyfriend. So she drives to his college, gets sucked into the professor's extracurricular video-watching club. It' confusing, though. Skye, the professor's girlfriend is unable to find a 'tail' - someone to watch the movie and pass the curse on to. Skye tries to get Julia to be that person but Julia avoids it at all costs, instead of witnessing Skye's death firsthand. Julia later then chooses to watch the video, without any hesitation in a bid to save him. Such a loving girlfriend. What would he do without her? That begins a series of events to stop the curse. They must put Samara's soul to rest to break the curse. For the viewer, though, the couple do not get anymore interesting once they're beyond the confides of the campus. The two are a far cry from Naomi Watt's character that was slowly building into something round and unforgettable. These two loves birds in Rings are instantly forgettable. The movie provided one too many instances of dry, unintended humour. Not the laugh out kind but one that any seasoned horror fan would find utterly dull and chuckle instead of being frightened. Rings brings nothing new to the franchise and that is the biggest shame. It does not bring the suspense that is needed to fill the void left by the unscary horror segments. While it delves into Samara and sets us up for a whole lot more of her in the upcoming sequels, Not that any viewers will be left by the time those roll around. There should be punishment for director's who make the viewer go through this kind of torture. 107 minutes of tedious footage that would be better off thrown in the trash. One would be better off watching the VHS video of Samara than taking time out to watch two lovey-dovey teenagers try to hilariously break the curse. This one should be shown to college students in a 'How not to make a horror movie 101' class. Period.